1. How to work with collection in WCF? 2. How to work with concrete collection List<T> ? 3. How to work with interface IEnumerable<T> ? 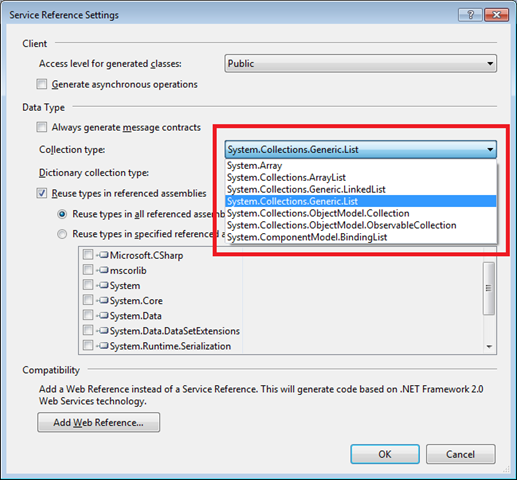 Since, COLLECTION is very much specific to .Net, so WCF does not expose it to the metadata of the service. But they are very useful, so WCF provides dedicated marshaling rules for collection. Now when you add this service reference at the client side, you can see the collection is exposed as array. To see this, add the service reference in a client. I have created a console client and added the service reference of above service. 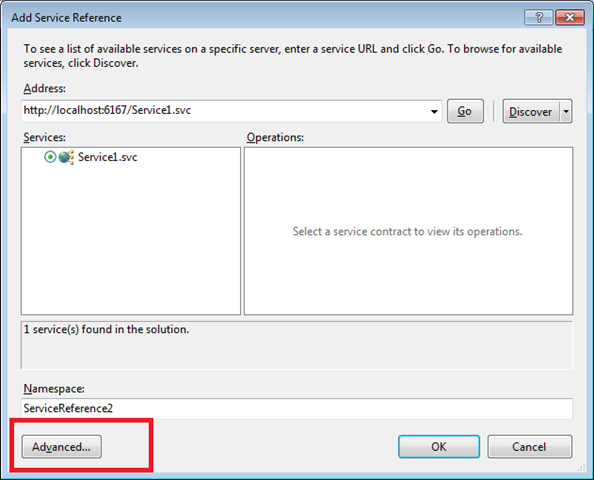 When you click on ServiceReference1 in solution explorer, you can open the proxy code generated at the client side. So click on object browser and you can see that array has been returned in metadata instead of collection. 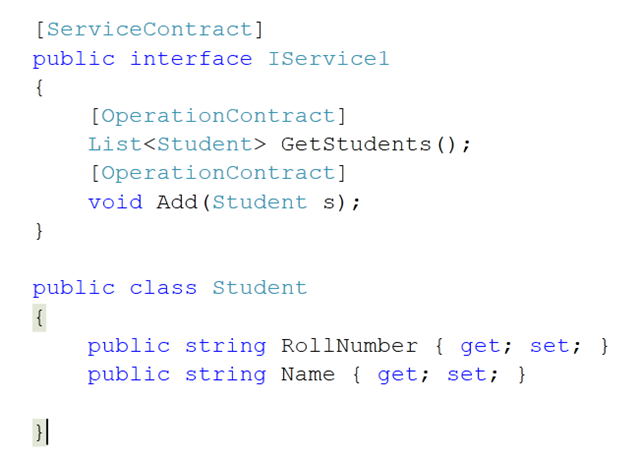 As we know from .Net 3.5 all the classes are by default serialized. And collection we are returning is marked with Serializable not with DataContract. 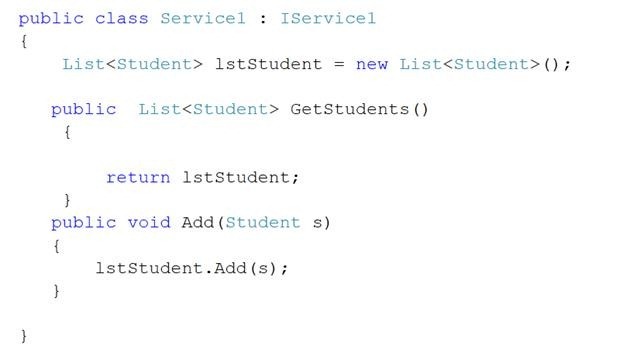 If you see above, we are returning List<Student> instead of IEnumerable<Student>. 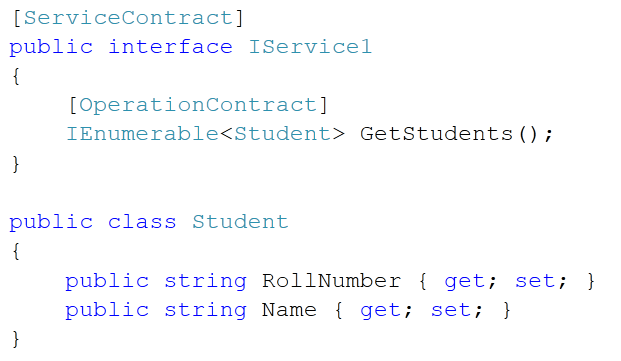 So again at the client side, List<Student> would be exposed as Student  in service metadata. So if you see above code, I am taking the output of GetStudents() method in array of student(Student ). If you want to avoid that, you do not want to use array but instead you want to get collection at the client side. From the drop down of collection type tab, select System.Collections.Generic.List option. Now you can see at the client side proxy is having list as return not array . I hope this article was useful to you. Thanks for reading. Happy Coding .